As you may have heard by now, I have moved to a new law firm. I am now a partner at Arnstein & Lehr LLP, 120 South Riverside Plaza, Suite 1200, Chicago, IL. 60606. My direct phone number is 312-876-6907. Arnstein & Lehr LLP is a full service law firm based in Chicago, IL., with additional offices in Hoffman Estates, IL; Milwaukee, WI. ; and in Miami, West Palm Beach and Boca Raton, FL. Built on competence, hard work and loyalty to clients, Arnstein & Lehr attorneys are recognized leaders who "get the job done". With over 125 lawyers, we are dedicated to delivering results-oriented legal services to a wide range of clients throughout the United States and many parts of the world. 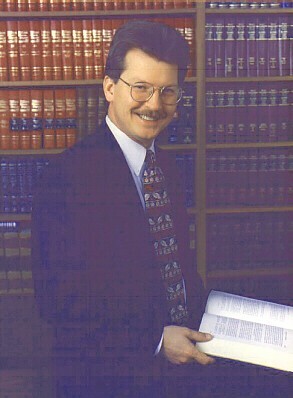 To learn more about Arnstein & Lehr LLP and each of out Practice Groups, visit us online at www.arnstein.com. My practice areas continue to be Banking and Commercial Real Estate Lending, Commercial Real Estate Transactions and Development; Purchase and Sale of Businesses; Business Law; Corporate and Business Ownership Law. "If you have a 'tough deal' or a very important deal that MUST get done, I will get it done through preparation, understanding, creativity and hard work. You WILL get your money's worth. If your deal is important to you, it is important to me." If I can be of any assitance to you at any time, or if you would just like to stop by my new offices to visit and learn more about Arnstein & Lehr LLP, please do not hesitate to call me on my direct line at 312.876-6907 or via our general firm number 312.876-7100.